From 1928 until 1936, Wentworth Park was used as a speedway and was known as Wentworth Speedway. The first racing took place on 21 April 1928 and continued until 28 November 1936. Motorcycle speedway was the first category to use the venue, with competitors including future Speedway World Champions Lionel Van Praag and Bluey Wilkinson. 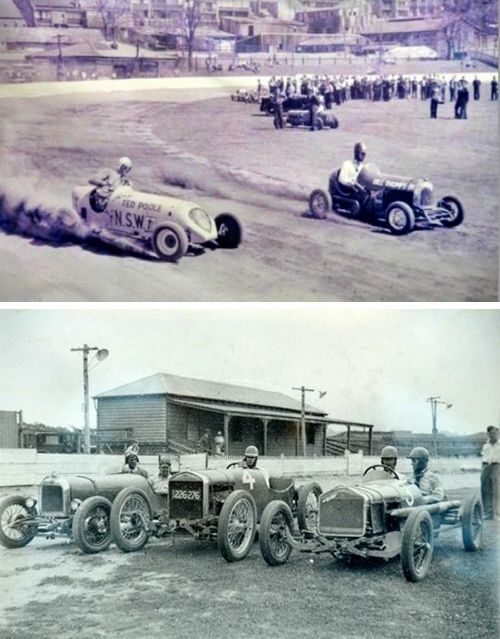 Wentworth Park was the site of Sydney’s first ever Speedcar race on 5 October 1935. The final speedway meeting was to have taken place on 5 December 1936, but track damage and noise complaints saw the meeting cancelled. These two photos were on show at the Historic display, Wentworth Park, Glebe: 16 October 2011. The dates were not recorded.